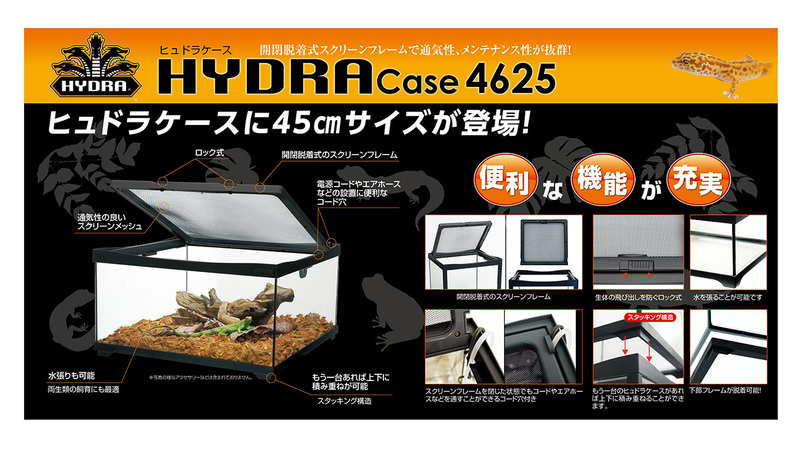 New arrival of mini type for Hydra Case! A wide range of uses even in compact spaces. Ideal for small reptile breeding and mini tereriums! Many convenient functions for raising reptiles and amphibians! Ideal for breeding small animals such as hamsters! Opening/closing detachable type screen frame provides outstanding breathability and ease of maintenance! Stacking is possible for 2 or more units! Ideal for breeding small reptile,　animals, and insects!! Ideal for breeding small, reptile, animals and insects!! Ideal for breeding small reptile, animals, and insects! !